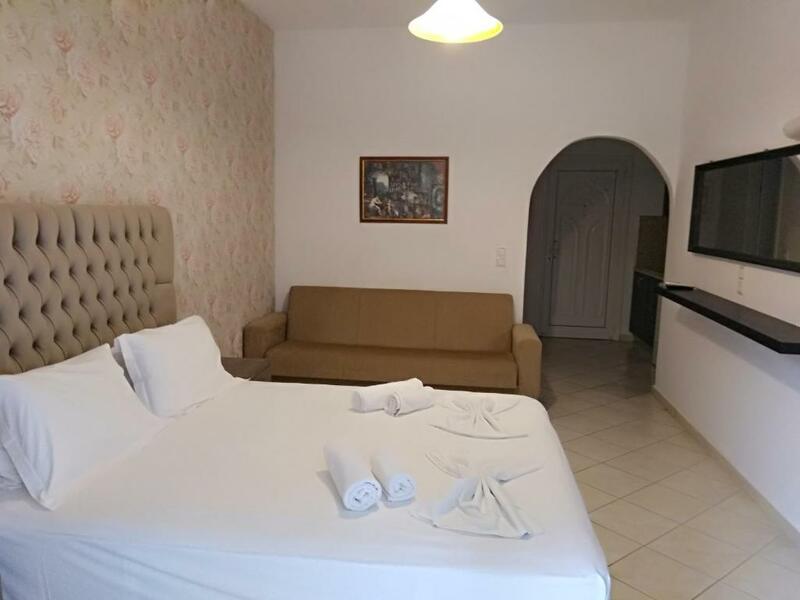 Close to town but out of street noise, big room, very clean, hosts very friendly, parking free and have space, good for travelers with car, have swimming pool nice if you are lazy to walk, have pool bar for snacks and drinks. Super friendly hosts who went out of their way to make our stay as comfortable as possible. Our 2 bedroom unit was modern, had ample space for the 5 of us, beds were very comfortable, it had good size bathroom, air con was excellent, large balcony with good views, nice pool/bar area. Perfect spot for families. Great family run apartments. Quite and relaxing with nothing to much trouble for the owner. Will definitely visit again. Lovely place, excellent location, and lovely owners. The family were exceptional hosts. The rooms were fantastic, cleaned everyday. The apartments overall excellent. Lovely owners, lovely location on the edge of town, a steep walk home but that suited us, pool great, plenty of parking. Would recommend. 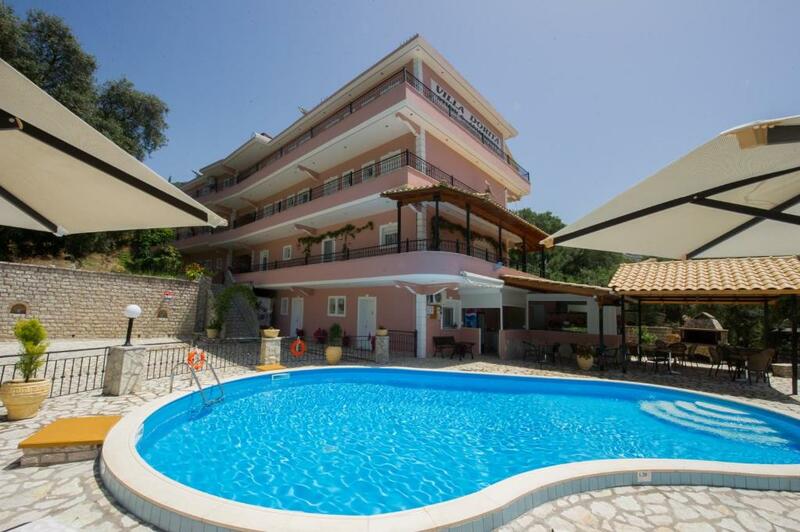 Lock in a great price for Villa Dorita Luxury Apartments – rated 9.4 by recent guests! 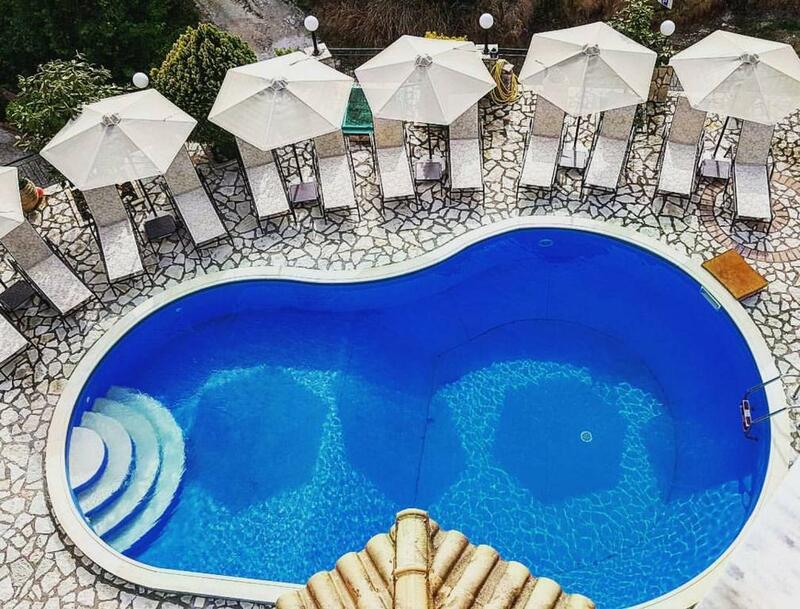 Within walking distance from the center of Parga and Krioneri Beach, Villa Dorita offers self-catering accommodations with free Wi-Fi access. It includes an outdoor pool surrounded by sunbeds, a bar and a children’s playground. Dorita studios open out to a balcony with views over the town of Parga and the surrounding olive groves. 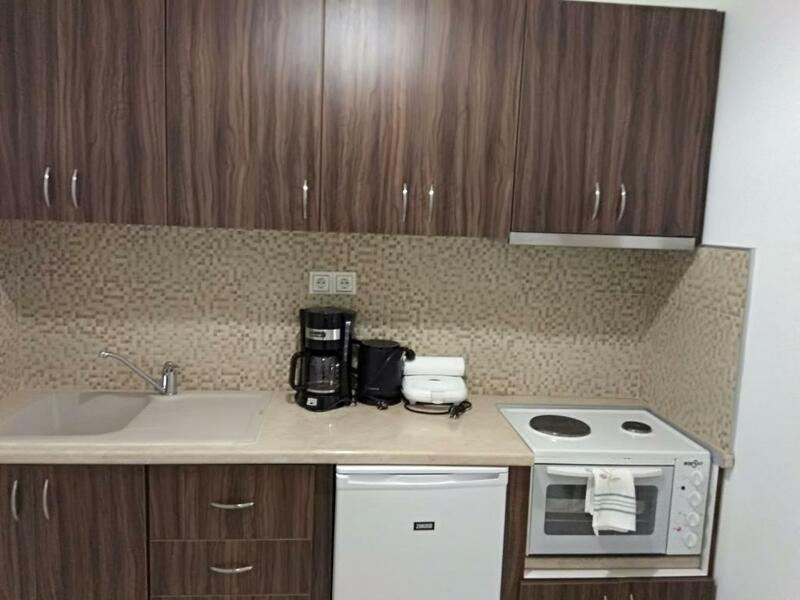 They feature a kitchenette with mini oven, fridge and a small dining area. All air-conditioned units also come with a satellite TV and hairdryer. Villa Dorita features a furnished garden with chairs and tables, while BBQ facilities are also available for the guests. Each morning breakfast is served at the pool bar. Refreshments and snacks are also provided. The port of Igoumenitsa is 24 mi away and connects to the island of Corfu. The scenic village of Syvota with its many beaches is a 30-minute drive away. Free on-site parking is provided. When would you like to stay at Villa Dorita Luxury Apartments? ΗΣΥΧΟ,ΑΝΕΤΟ ,ΚΟΝΤΑ ΣΤΗΝ ΠΟΛΗ ΜΕ ΤΑ ΠΟΔΙΑ ΣΕ ΗΣΥΧΗ ΓΕΙΤΟΝΙΑ..
ΗΣΥΧΗ ΓΕΙΤΟΝΙΑ, ΧΩΡΙΣ ΘΟΡΥΒΟΥΣ ΑΥΤΟΚΙΝΗΤΩΝ 'Η ΜΟΤΟ. House Rules Villa Dorita Luxury Apartments takes special requests – add in the next step! Villa Dorita Luxury Apartments accepts these cards and reserves the right to temporarily hold an amount prior to arrival. 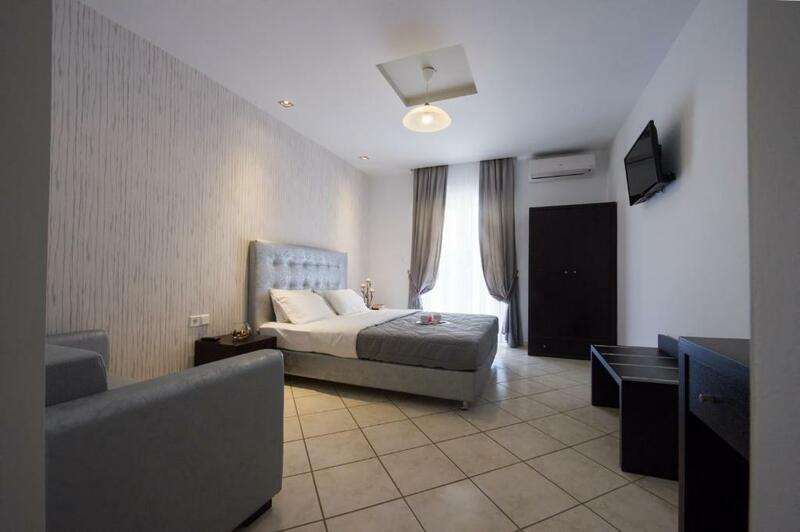 Excellent host, clean and ideally located. Nothing. It was as we expected. The kitchen is not equipped very well, ok for breakfast preparing but for lunch and dinners is not. Timed aircon? So that it came on at certain times of the day? It was really hot when we stayed, though you needed the key fob to when in the room to activate the aircon...a minor point. Great welcome by the owners; all our requests had been considered; the appt. was cleaned everyday; pool and facilities were great, perfect for the kids, never overly crowded. Owners were really friendly and helpful...but not in your face. Location is an advantage and disadvantage at the same time. View is superb, but climbing in +42C may be hard. For us with good health it wasn't too difficult to walk up and down to the village and beach (15-20min) But if you have faint heart or problems with you legs, you might consider using taxi or a scooter. Another thing is arriving or leaving Parga in general. There is no direct bus service from Preveza airport (which is strange) so local taxi companies have good busines. There would be possible to take local bus from airport to Preveza bus station and from there to Parga but the timetables were not fitting well. Information about taxies or busses are difficult to find as many web pages are old, shady looking or in Greek. Luckily we read from booking site that hotel owner can pick up from the airport so we made deal with him and our arrival was after all easy. Location is uphill, away from center of the village, surrounded by olive trees, therefore it is peaceful and charming. From the south side of the building there is a see view from balcony. 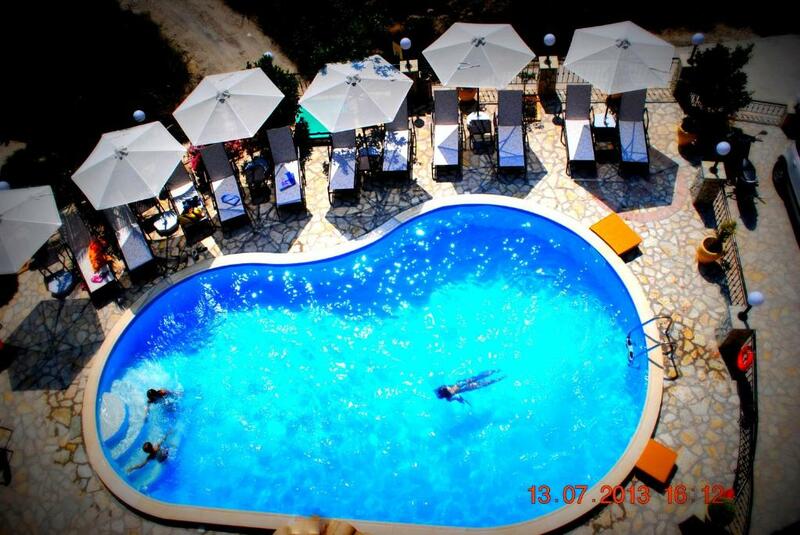 Hotel has nice swimming pool and useful for those too hot days you cannot walk down to the Kryoneri beach. While relaxing in sunbed you can order snacks, refreshments, even lunch salad with decent price. 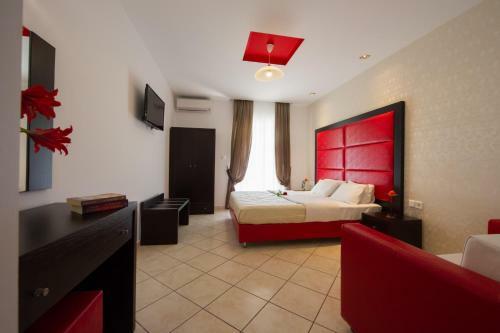 Overall the family owned hotel is very well maintained and clean. Owners and staff and friendly and helpful but they don't make fuss if you feel unsocial. Rooms were spacious as well as the balcony and the beds were good. Small kitchenette was serving the purpose and wifi functioned relatively well. Good air condition. Wi-Fi at times a bit slow, no big deal though. Can get a bit tiring walking uphill back to the property especially for kids.